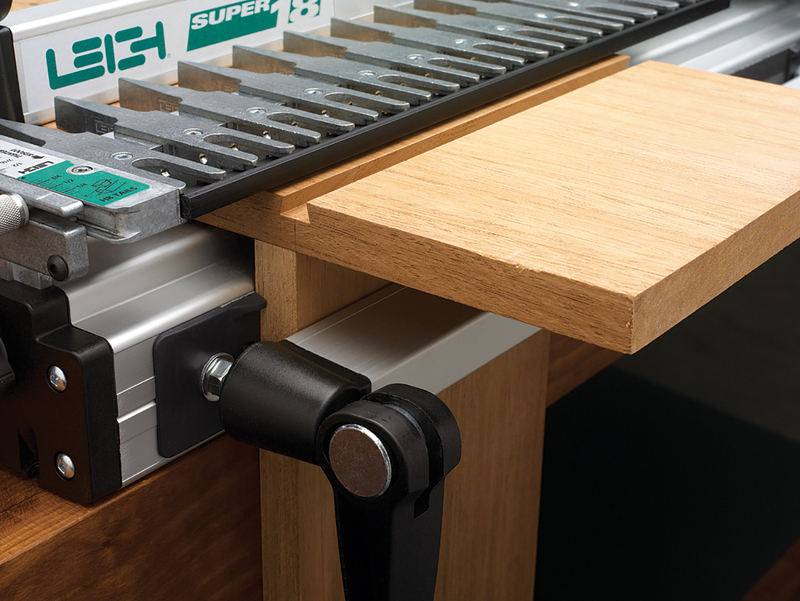 Sliding dovetails are used in many applications where traditional dovetail joinery is not possible, such as shelf to upright joints, bread board edges and drawer dividers. 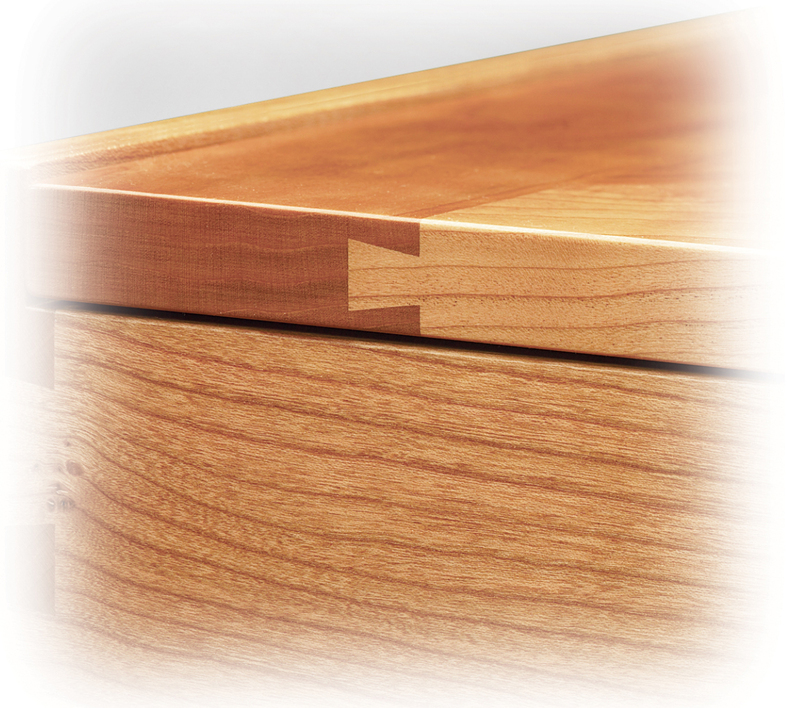 The interlocking strength of the dovetail is maintained and the joint can be decorative or made invisible. 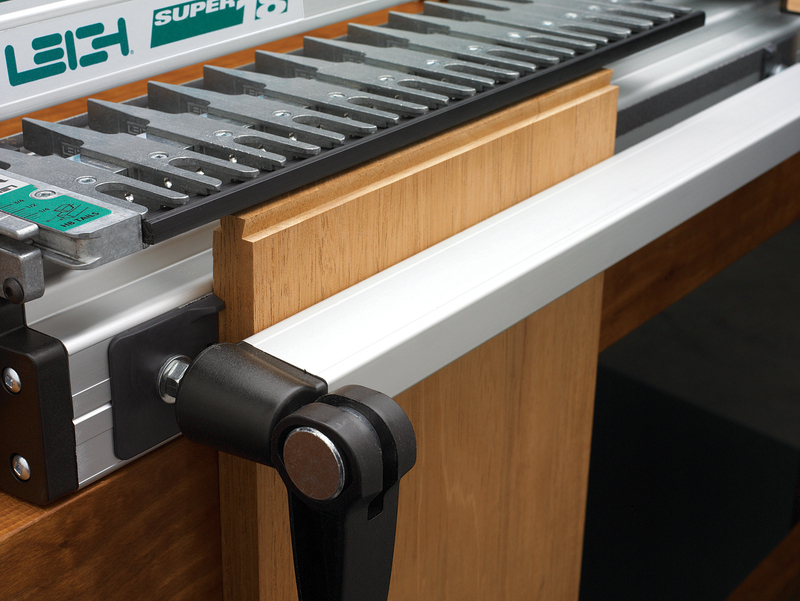 Every Leigh dovetail jig comes complete with a cross cut fence which provides the straight edge required to guide the router. 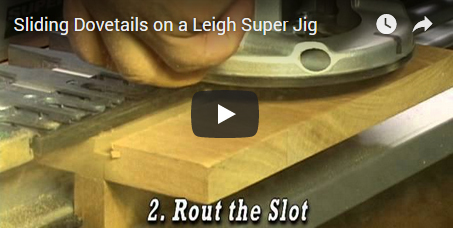 Any bit and guidebush combination, including those packaged with each jig, can be use to rout perfect sliding dovetails on all Super Jigs. 1 Set the finger assembly in the half-blind tail mode and on the 9/16” mark. 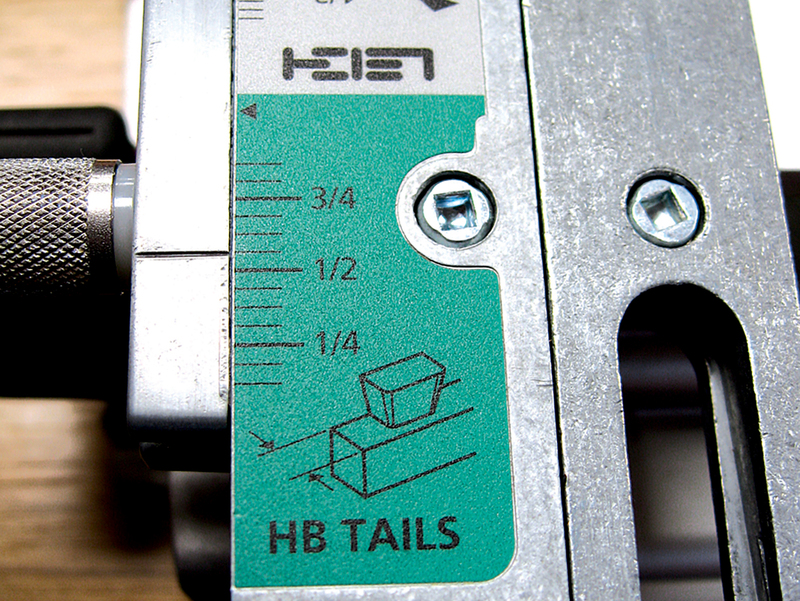 2 Sliding dovetails are not limited by specific dovetail sizes, angles and depth of cut — simply choose the bit that best represents the size and angle of the joint you want to achieve. It is used in combination with a guide bushing. 3 With the centerline of the socket marked on the edge of the workpiece, line up this mark with the outside edge of the 3/4” vertical board. You have now perfectly aligned the socket to where the router bit will cut. 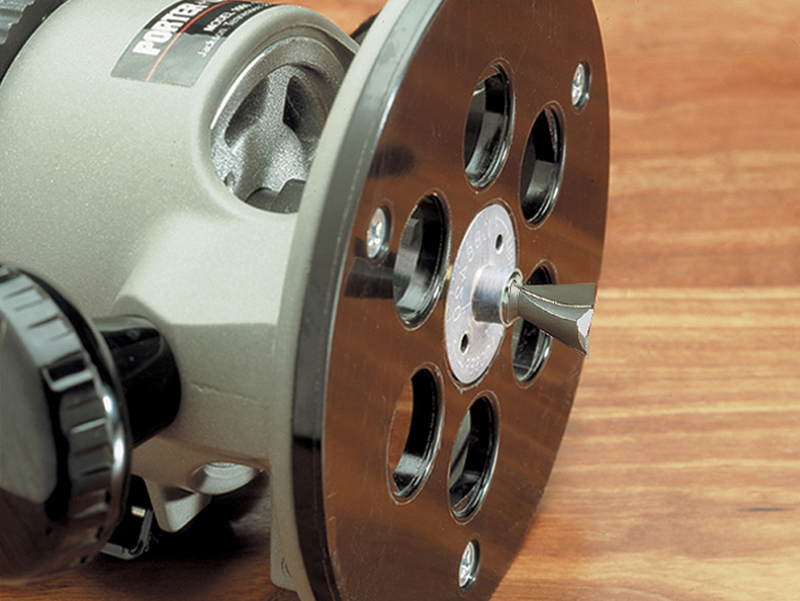 Install the included crosscut fence and rout your sockets. 4 Now clamp the tailboard vertically flush under the finger assembly. Rout one side, rotate the board and rout the other side. Moving the finger assembly in will reduce the size of tail. For more detailed instructions, see User Guides and Bulletins in the Support section.